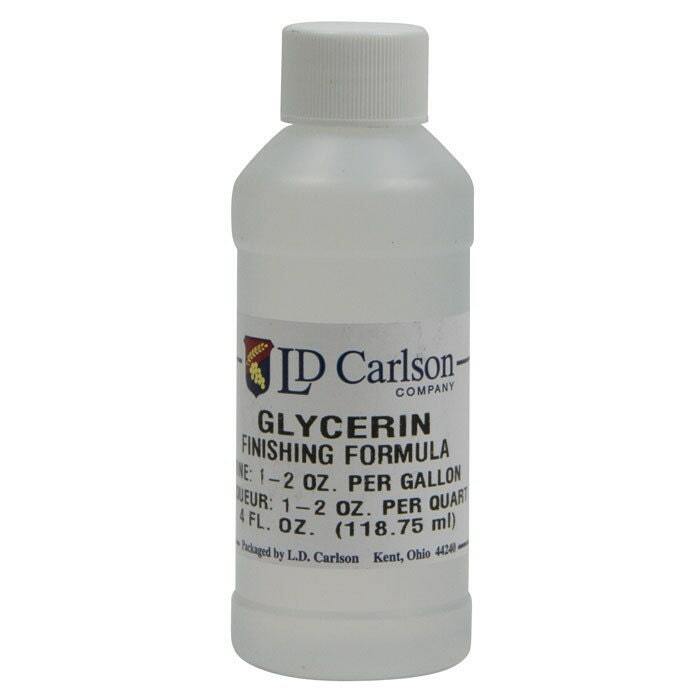 Glycerin can also be known by wine makers as finishing formula. It sweetens, adds body, smooths and mellows wine and liqueurs. For wine, add 1 - 2 ounces per gallon.For liqueurs, add 1 -2 ounces per quart.